Whether reversing years of stains on your teeth or simply brightening up your smile, teeth whitening can be a great way for patients to refresh their smile. 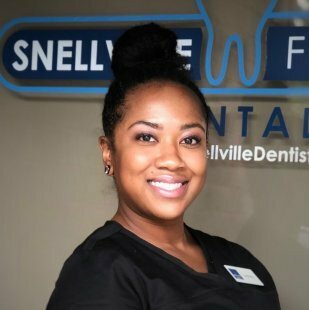 At Snellville Family Dental, we offer professional dental whitening trays with the gel. This treatment allows for patients to safely and gently whiten their teeth in the comfort of their own home. 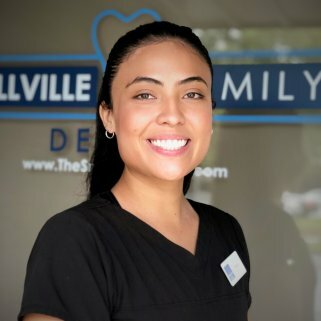 Often, patients want to whiten their smile to provide the finishing touches to some restorative work they will receive to complete their new smile. In contrast, some patients simply wish to take care of staining on their teeth from frequent coffee consumption and other foods that stain teeth easily. When it comes to whitening, patients have a wide variety of options depending on what they are looking to accomplish. 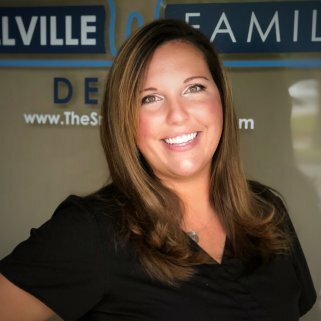 Certainly, some options are longer lasting and more effective than others, and our staff at Snellville Family Dental will be happy to explain the ins and outs of teeth whitening. Overall, it is most important for patients to discuss whitening with their Doctor to ensure they receive the best treatment. Additionally, the Doctor can give patients proper guidance to achieve the results they desire. 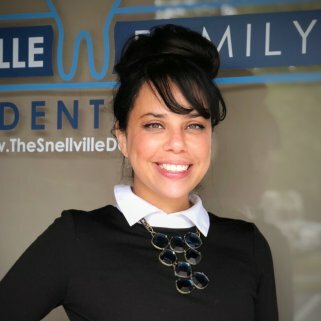 Professional at-home whitening trays is what we at Snellville Family Dental offer to our patients. This option includes the consultation with the dentist and professionally medicated trays to take home to get started. Above all, take-home trays are the most effective and simple whitening option, and patients will see results almost immediately. Finally, patients may choose to complete several rounds of treatment or stop at the first supply of whitening gel. Although, this will depend on how stained the teeth are to begin with and on the patient’s preferred results. Patients who are looking for a quick and cheap option for whitening often turn to the whitening strips that can be found over the counter in stores. In contrast to professional trays, this option may be simple and relatively cheap, the effects of the strips does not last long, and it is just simply not as powerful as other options. Additionally, whitening strips from the store do not completely adhere to teeth. Thus, the strips leave room for gaps, resulting in discolored spots and an uneven color. Unlike the trays, Zoom Whitening is an in-office procedure in which the dentist will apply a whitening gel to the patient’s teeth. Then, the dentist will shine a blue LED lamp onto the teeth for about 15 minutes. Finally, this process is repeated up to two times after the first round to complete the procedure. 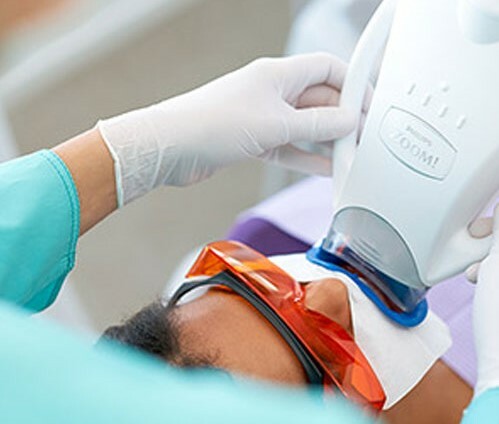 Though it is the most common form of whitening for in-office whitening treatment, Zoom is simply not as effective as other options. However, it does provide patients with more immediate results than other treatments. Conversely, for patients who have more concerns than simply just the shade of their teeth, veneers and Lumineers can be an all-in-one solution for a variety of cosmetic complaints. 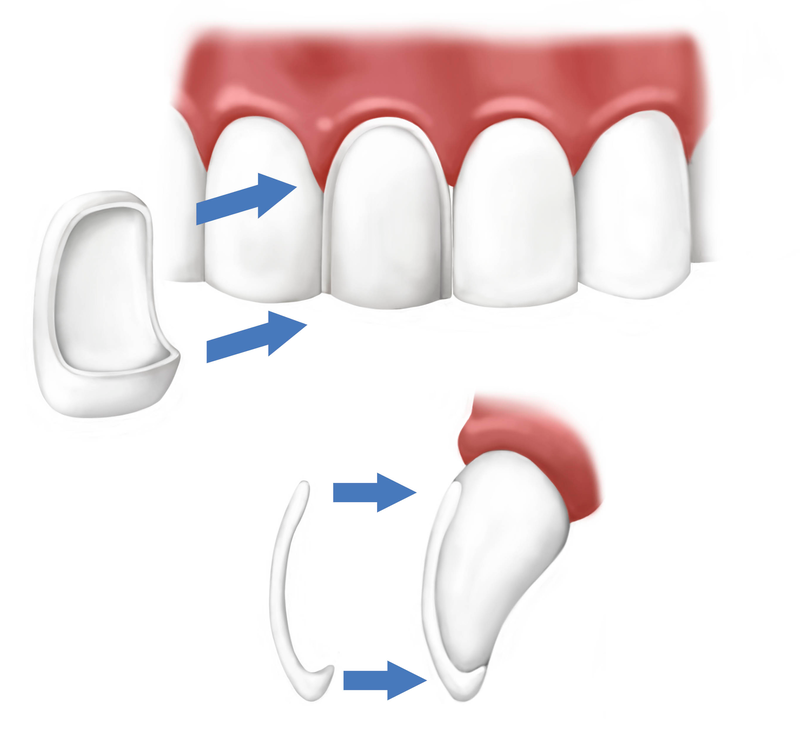 Veneers are porcelain covers that are cemented in place to correct teeth that are dull, crooked, poorly spaced, or uneven. Similarly, Lumineers are made of the same material and accomplish the same cosmetic results, but they are much thinner and require less invasive preparation of the teeth. 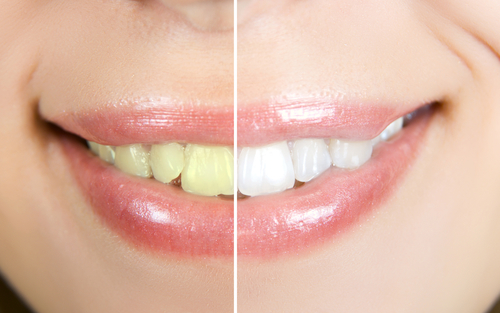 Above all, both options are permanent results for teeth whitening, along with many other cosmetic concerns. 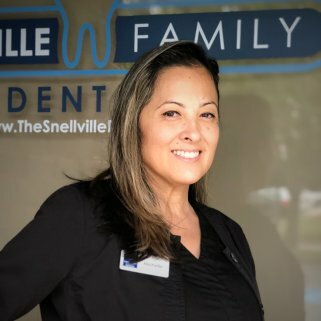 In conclusion, the whitening option for Snellville Family Dental is the take-home whitening trays and gel. 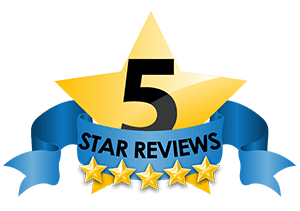 We specialize in this type of whitening because it is simply the best option to offer patients in cost, effectiveness of results, and overall comfort. 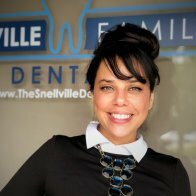 We also offer both traditional veneers and Lumineers for patients who are looking for more cosmetic dental treatment than just teeth whitening. However, for patients who are looking to only have whitening done to their teeth, the take-home trays are best. Overall, this option is both safer than the store-bought whitening strips and also more effective and cheaper than Zoom. Generally, the timeline for take-home whitening trays can vary greatly depending on the initial state of the patient’s teeth and on the degree of results the patient wishes to see. Additionally, whitening results often largely depend on a patient’s diet, like coffee, red wine, and smoking. However, for patients whose teeth are already mostly white, treatment can be completed with only one full supply of trays. One full supply of trays includes 10 top and bottom trays; patients can wear the trays for 30-60 minutes per use for up to 10 days at a time. Afterward, patients who did not see desired results after the first round of treatment can continue whitening with another round of treatment at the recommended time of their Doctor. Pricing for a full treatment of whitening will vary depending on the patient’s desired results and current color of teeth. Generally, whitening trays are the least expensive of all of the professional whitening options. While Zoom costs on average around $500 for only one treatment, our professional take-home whitening trays will only cost $199 for each 10-use supply. Overall, patients will get hundreds of dollars in savings, while receiving more effective treatment for whitening their teeth. Though the professional trays are more expensive than store-bought strips, the savings is not very significant. Ultimately, patients receive much better treatment with the trays. Because whitening is a cosmetic treatment, most insurance companies will not cover it. However, patients should contact their insurance company for exact coverage. As with any whitening option, patients may experience tooth sensitivity when undergoing whitening treatment. Because of genetics and other factors, some patients may be more susceptible to sensitivity than others. However, simple precautions like switching to toothpaste for sensitive teeth can help. Although whitening trays are not known to cause extreme sensitivity or discomfort, it is important that patients alert their Doctor if they experience any abnormal side effects. Additionally, trays are a much safer and lower risk option than whitening strips found in the store, and they are much cheaper than in-office whitening like Zoom, both of which come with a risk of sensitivity. While it is tempting for patients to select the store-bought option that is typically cheaper than the options provided by their Doctor, whitening products are best to receive from your dentist. Above all, your Doctor will be able to outline all of the possible risks and benefits of all whitening options to help patients make the best-informed decision regarding their teeth. Moreover, professional whitening will have been stored at the correct temperature, as whitening is more effective when stored correctly. 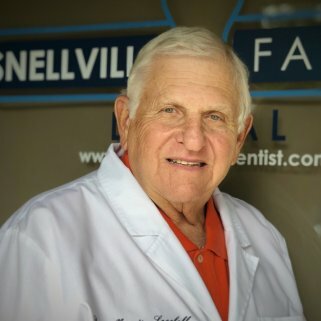 Additionally, your Doctor will be able to answer any questions you may have throughout the whitening process and advise patients more effectively. Ask About Whitening at Your Next Cleaning! Instead of making a separate appointment to receive an exam and discuss whitening options, patients can ask about whitening at their next cleaning visit. 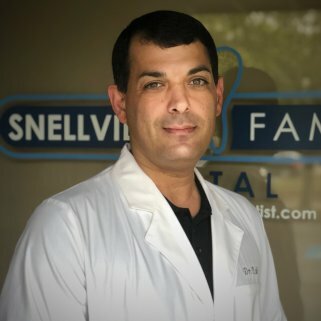 Since the Doctor will conduct a comprehensive exam at regular dental cleanings, patients can find out at that visit if whitening is the best option for them. Furthermore, whitening is more effective on freshly cleaned teeth anyway. 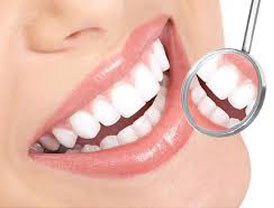 Thus, patients are also likely to have better and quicker results on professionally cleaned teeth. Occasionally, patients may also experience sensitivity with their whitening treatment. If this occurs, over the counter pain medication taken as directed can help alleviate symptoms. Additionally, patients who experience gum sensitivity should care for this by brushing more gently in the afflicted area. If patients have any unusual developments, they should ​contact our office ​immediately. Importantly, for patients who are considering getting restorative dentistry done or if they know they need to do this in the near future, it is best for them to complete whitening treatment prior to beginning this work. This is because porcelain pieces like crowns and bridges do not whiten with traditional whitening methods. 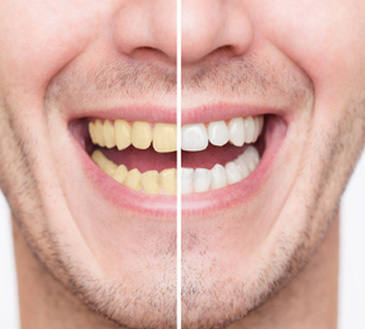 Thus, if patients were to whiten their teeth after receiving a bridge or crown, the color selection for the porcelain would no longer match the patient’s natural tooth color. Patients should discuss whitening with their Doctor if they wish to have whitening done but have an upcoming restorative procedure.